How should an individual office space be designed so training concepts are top of mind? In other words, how can one use an office space to reinforce ideas learned in training and sustain the benefits of learning? Jonathan: For many employees, there is simply not enough space within the construct of an individual workstation to support training. 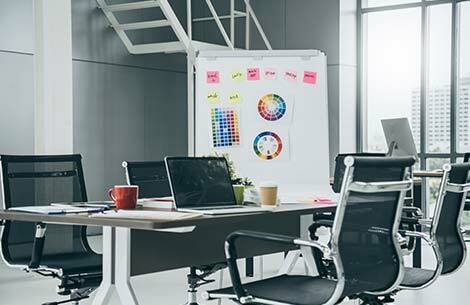 However, in the cases where a room is available, it’s important to have mobile tables and seating that can easily be positioned to maximize output – whether that's the number of people in the space to learn something or the type of learning that the mobility empowers, like collaborative group work. In addition, ancillary work tools such as whiteboards make excellent collaborative tools for group training projects. At the end of the day, most training curriculums are designed to help employees work effectively and efficiently. At the heart of a lot of training is access to the right technology tools that employees need to do their work. Often times, if technology is accessible in an office setting, then training can be duplicated within a personal workspace fairly easily.